For other uses, see Thomas Merton (disambiguation). Merton wrote more than 70 books, mostly on spirituality, social justice and a quiet pacifism, as well as scores of essays and reviews. Among Merton's most enduring works is his bestselling autobiography The Seven Storey Mountain (1948), which sent scores of World War II veterans, students, and even teenagers flocking to monasteries across the US, and was also featured in National Review's list of the 100 best non-fiction books of the century. Merton was a keen proponent of interfaith understanding. He pioneered dialogue with prominent Asian spiritual figures, including the Dalai Lama, the Japanese writer D. T. Suzuki, the Thai Buddhist monk Buddhadasa, and the Vietnamese monk Thich Nhat Hanh, and authored books on Zen Buddhism, Confucianism and Taoism. In the years since his death, Merton has been the subject of several biographies. Thomas Merton was born in Prades, Pyrénées-Orientales, France, on January 31, 1915, to Owen Merton, a New Zealand painter active in Europe and the United States, and Ruth Jenkins, an American Quaker and artist. He was baptized in the Church of England, in accordance with his father's wishes. Merton's father was often absent during his son's upbringing. During World War I, in August 1915, the Merton family left France for the United States. They settled first with Ruth's parents on Long Island, New York, and then near them in Douglaston, New York. In 1917, the family moved into an old house in Flushing, New York, where Merton's brother, John Paul, was born on November 2, 1918. The family was considering returning to France when Ruth was diagnosed with stomach cancer, from which she died on October 21, 1921, in Bellevue Hospital. Merton was six years old. In 1922, Owen Merton and Thomas traveled briefly to Bermuda, where Owen fell in love with the American novelist Evelyn Scott, a married woman. Still grieving for his mother, Thomas never quite warmed to Scott. Happy to get away from Scott, Thomas returned to Douglaston in 1923 to live with his mother's family and his brother. Owen Merton, Scott, and her husband sailed to Europe and traveled through France, Italy, England and Algeria. During the winter of 1924, while in Algeria, Owen Merton became ill and was thought to be near death. The news of his father's illness filled Thomas with anxiety. By March 1925, Owen Merton was well enough to organize a show of his paintings at the Leicester Galleries in London. He then returned to New York and took Thomas to live with him in Saint-Antonin, France. Thomas returned to France with mixed feelings, as he had lived with his grandparents for the last two years and had become attached to them. During their travels, Merton's father and Scott had discussed marriage on occasion. After the trip to New York, Owen Merton realized that Thomas would not be reconciled to Scott and broke off his relationship with her. In 1926, when Merton was eleven, his father enrolled him in a boys' boarding school in Montauban, the Lycée Ingres. There, Merton felt lonely, depressed and abandoned. During his initial months at the school, Merton begged his father to remove him. With time, however, he grew comfortable with his surroundings. He befriended a circle of aspiring writers at the Lycée and he himself wrote two novels. Sundays at the Lycée offered a nearby Catholic Mass, but Merton never attended, instead often taking an early train home. A Protestant clergyman came Sundays to teach at the Lycée to those who did not attend Mass, but Merton took scant interest. During the Christmas breaks of 1926 and 1927, he spent his time with friends of his father in Murat, Auvergne. He admired the devout Catholic couple, whom he saw as good and decent people, but religion only once came up as a topic between them. Merton expressed his belief that all religions "lead to God, only in different ways, and every man should go according to his own conscience, and settle things according to his own private way of looking at things." He wanted them to argue with him, but they did not. As he came to understand later, they realized that his attitude "implied a fundamental and utter lack of faith, and a dependence on my own lights, and attachment to my own opinion"; furthermore, since "I did not believe in anything,... anything I might say I believed would be only empty talk." Meanwhile, Merton's father was traveling, painting and attending to an exhibition of his work in London. In the summer of 1928, he took Merton out of the Lycée Ingres, informing him that they were headed together to England. Merton and his father moved to the home of Owen's aunt and uncle in Ealing, West London. Merton was soon enrolled in Ripley Court Preparatory School, another boarding school, this one in Surrey. Merton enjoyed his studies there and benefited from a greater sense of community than had existed at the Lycée. On Sundays, all students attended services at the local Anglican church. Merton began routinely praying, but discontinued the practice after leaving the school. During holidays, Merton stayed at his great-aunt and uncle's home, where occasionally his father visited. During Easter vacation in 1929, Merton and Owen went to Canterbury. Merton enjoyed the countryside around Canterbury, taking long walks. When the holiday ended, Owen returned to France, Merton to Ripley. Toward the end of that year, Merton learned that his father was ill and living in Ealing. Merton went to see him and together they left for Scotland, where a friend had offered his house for Owen's recovery. Shortly after, Owen was taken to London to the North Middlesex Hospital. Merton soon learned his father had a brain tumor. He took the news badly, but later, when he visited Owen in hospital, the latter seemed to be recovering. This eased Merton's anxiety. In 1930, Merton was sent to Oakham School, a boarding school in Rutland, England. At the end of the first year, his grandparents and John Paul visited him. His grandfather discussed his finances, explaining that he would be provided for if Owen died. Merton and the family spent most of that summer visiting the hospital to see his father, who was so ill he could no longer speak. This caused Merton much pain. On January 16, 1931, at the start of term at Oakham, Owen died. Tom Bennett, Owen's physician and former classmate in New Zealand, became Thomas's legal guardian. He allowed Merton to use his unoccupied house in London during the holidays. That year, Merton visited Rome and Florence for a week and also saw his grandparents in New York. Upon his return to Oakham, Merton became joint editor of the school magazine, the Oakhamian. At that time in his life, Merton was an agnostic. In 1932, on a walking tour in Germany, he developed an infection under a toenail. He ignored it, and it developed into a case of blood poisoning so severe that at one point he thought he was going to die. But "the thought of God, the thought of prayer did not even enter my mind, either that day, or all the rest of the time that I was ill, or that whole year. Or if the thought did come to me, it was only as an occasion for its denial and rejection." His declared "creed" was "I believe in nothing." In September, he passed the entrance exam for Clare College, Cambridge. On his 18th birthday, and tasting new freedom, he went off on his own. He stopped in Paris and Marseille, then walked to Hyères, where he ran out of money and wired Bennett for more. Scoldingly, Bennett granted his request, which may have shown Merton he cared. Merton then walked to Saint Tropez, where he took a train to Genoa and then another to Florence. From Florence he left for Rome, a trip that in some ways changed the course of his life. I had been in Rome before, on an Easter vacation from school, for about a week. I had seen the Forum and the Colosseum and the Vatican museum and St. Peter's. But I had not really seen Rome. This time, I started out again, with the misconception common to Anglo-Saxons, that the real Rome is the Rome of the ugly ruins, the hills and the slums of the city. Merton began visiting churches, not knowing why he felt drawn to them. He did not participate in Masses, but simply observed and appreciated them. One day, he happened upon a church near the Roman Forum, called Santi Cosma e Damiano. In its apse, he saw a great mosaic of Jesus Christ come in judgment in a dark blue sky and was transfixed. Merton had a hard time leaving the place, though he was unsure why. Merton had found the Rome he said he did not see on his first visit: Byzantine Christian Rome. From this point on in his trip he set about visiting the various churches and basilicas in Rome, such as the Lateran Baptistery, Santa Costanza, the Basilica di San Clemente, Santa Prassede and Santa Pudenziana (to name a few). He purchased a Vulgate (Latin Bible), reading the entire New Testament. One night in his pensione, Merton sensed for a few moments that Owen was in the room with him. The mystical experience focused him on the emptiness he felt in his life, and, for the first time, he really prayed, asking God to deliver him from darkness. The Seven Storey Mountain also describes a visit to Tre Fontane, a Trappist monastery in Rome. While visiting the church there, he was at ease, yet when entering the monastery he was overtaken with anxiety. Alone that afternoon, he remarked to himself, "I should like to become a Trappist monk." He would eventually become a Trappist; although they are known for silence, Merton was vocal and expressive about his beliefs, especially in his writings. Some of Merton's Oakham schoolmates, who had gone up to Cambridge at the same time, recalled that Merton drifted away and became isolated there. He drank to excess, frequenting local pubs instead of studying. He also indulged in sexual licence, with some friends calling him a womanizer. He spent freely—far too freely in Bennett's opinion—and was summoned for the first of what was to be a series of stern lectures in his guardian's London consulting rooms. Although details are sketchy—they appear to have been excised from a franker first draft of the autobiography by the Trappist censors—most of Merton's biographers agree that he fathered a child with one of the women he encountered at Cambridge and there was some kind of legal action pending that was settled discreetly by Bennett. By any account, this child has never been identified. By this time Bennett had had enough and, in a meeting in April, Merton and his guardian appear to have struck a deal: Merton would return to the United States and Bennett would not tell Merton's grandparents about his indiscretions. In May Merton left Cambridge after completing his exams. In January 1935, Merton enrolled as a sophomore at Columbia University in Manhattan. He lived with the Jenkins family in Douglaston and took a train to the Columbia campus each day. Merton's years at Columbia matured him, and it is here that he discovered Catholicism in a real sense. These years were also a time in his life where he realized others were more accepting of him as an individual. In short, at 21 he was an equal among his peers. At that time he established a close and long-lasting friendship with the proto-minimalist painter Ad Reinhardt. Merton began an 18th-century English literature course during the spring semester taught by Mark Van Doren, a professor with whom he maintained a friendship until death. Van Doren did not teach his students in any traditional sense; instead he engaged them, sharing his love of literature. Merton was also interested in Communism at Columbia, where he briefly joined the Young Communist League; however, the first meeting he attended failed to interest him further, and he never went back. During summer break, John Paul returned home from Gettysburg Academy in Pennsylvania. The two brothers spent their summer breaks bonding with each other, claiming later to have seen every movie produced between 1934 and 1937. When the fall semester arrived, John Paul left to enroll at Cornell University while Tom returned to Columbia. He began working for two school papers, a humor magazine called the Jester and the Columbia Review. Also on the Jester's staff were the poet Robert Lax and the journalist Ed Rice. Lax and Merton became best friends and kept up a lively correspondence until Merton's death; Rice later founded the Catholic magazine Jubilee, to which Merton frequently contributed essays. Merton also became a member of Alpha Delta Phi that semester and joined the Philolexian Society, the campus literary and debate group. In October 1935, in protest of Italy's invasion of Ethiopia, Merton joined a picket of the Casa Italiana. The Casa Italiana, established in 1926, was conceived of by Columbia and the Italian government as a "university within a university". Merton also joined the local peace movement, having taken "the Oxford Pledge" to not support any government in any war they might undertake. In 1936, Merton's grandfather, Samuel Jenkins, died. Merton and his grandfather had grown rather close through the years, and Merton immediately left school for home upon receiving the news. He states that, without thinking, he went to the room where his grandfather's body was and knelt down to pray over him. In February 1937, Merton read a book that opened his mind to Catholicism, The Spirit of Medieval Philosophy by Étienne Gilson. In it he encountered an explanation of God that he found logical and pragmatic. Tom had purchased the book for a class on medieval French literature, not seeing the nihil obstat in the book denoting its Catholic origin. This work was pivotal, paving the way for more encounters with Catholicism. Another author Merton began reading was Aldous Huxley, whose book Ends and Means introduced Merton to mysticism. In August that year, Tom's grandmother, Bonnemaman, died. In January 1938, Merton was graduated from Columbia with a B.A. in English. He then continued at Columbia, doing graduate work in English. In June, a friend, Seymour Freedgood, arranged a meeting with Mahanambrata Brahmachari, a Hindu monk visiting New York from the University of Chicago. Merton was impressed by the man, whom he saw as profoundly centered in God, but expected him to recommend his religion in some manner. Instead, Brahmachari recommended that they reconnect with their own spiritual roots and traditions. He suggested Merton read The Confessions of Augustine and The Imitation of Christ. Although Merton was surprised to hear the monk recommend Catholic books, he read them both. He also started to pray again regularly. Merton began to consider Catholicism as something to explore further. Finally, in August 1938, he decided to attend Mass and went to Corpus Christi Church located near to the Columbia campus on West 121st Street in Morningside Heights. Mass was foreign to him, but he listened attentively. Following the experience, Merton's reading list became increasingly geared toward Catholicism. While doing his graduate work, he was writing his thesis on William Blake, whose spiritual symbolism he was coming to appreciate in new ways. One evening in September, Merton was reading about Gerard Manley Hopkins' conversion to Catholicism and becoming a priest. Suddenly, he could not shake the sense that he, too, should follow such a path. He headed quickly to the Corpus Christi Church rectory, where he met Fr. George Barry Ford, and expressed his desire to become Catholic. In the following weeks Merton started catechism, learning the basics of his new faith. On November 16, 1938, Thomas Merton underwent the rite of baptism once again at Corpus Christi Church and received Holy Communion. On February 22, 1939, Merton received his M.A. in English from Columbia University. Merton decided he would pursue his Ph.D. at Columbia and moved from Douglaston to Greenwich Village. In January 1939, Merton had heard good things about a part-time teacher named Daniel Walsh, so he decided to take a course on Thomas Aquinas with Walsh. Through Walsh, Merton was introduced to Jacques Maritain at a lecture on Catholic Action, which took place at a Catholic Book Club meeting the following March. Merton and Walsh developed a lifelong friendship, and it was Walsh who convinced Merton that Thomism was not for him. On May 25, 1939, Merton received Confirmation at Corpus Christi, and took the confirmation name James. In October 1939, Merton invited friends to sleep at his place following a long night out at a jazz club. Over breakfast, Merton told them of his desire to become a priest. Soon after this epiphany, Merton visited Fr. Ford at Corpus Christi to share his feeling. Ford agreed with Merton, but added that he felt Merton was suited for the priesthood of the diocesan priest and advised against joining an order. Soon after, Merton met with his teacher Dan Walsh, whose advice he trusted. Walsh disagreed with Ford's assessment. Instead, he felt Merton was spiritually and intellectually suited for a priestly vocation in a specific order. They discussed the Jesuits, Cistercians and Franciscans. Merton had appreciated what he had read of Saint Francis of Assisi; as a result, he felt that might be the direction in which he was being called. Walsh set up a meeting with a Fr. Edmund Murphy, a friend at the monastery of St. Francis of Assisi on 31st Street. The interview went well and Merton was given an application, as well as Fr. Murphy's personal invitation to become a Franciscan friar. He noted that Merton would not be able to enter the novitiate until August 1940 because that was the only month in which they accepted novices. Merton was excited, yet disappointed that it would be a year before he would fulfill his calling. By 1940 Merton began to doubt about whether he was fit to be a Franciscan. He felt he had not been candid about his past with Fr. Murphy or Dan Walsh. It is possible this may have concerned his time at Cambridge, although The Seven Storey Mountain is never specific about what he felt he was hiding. Merton arranged to see Fr. Murphy and tell him of his past troubles. Fr. Murphy was understanding during the meeting, but told Tom he ought to return the next day once he had time to consider this new information. That next day Fr. Murphy delivered Merton devastating news. He no longer felt Merton was suitable material for a Franciscan vocation as a friar, and even said that the August novitiate was now full. Fr. Murphy seemed uninterested in helping Merton's cause any further, and Merton believed at once that his calling was finished. 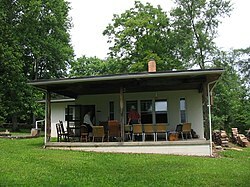 In early August 1940, the month he would have entered the Franciscan novitiate, Merton went to Olean, New York, to stay with friends, including Robert Lax and Ed Rice, at a cottage where they had vacationed the summer before. This was a tough time for Merton, and he wanted to be in the company of friends. Merton now needed a job. In the vicinity was St. Bonaventure University, a Franciscan university he had learned about through Bob Lax a year before. The day after arriving in Olean, Merton went to St. Bonaventure for an interview with then-president Fr. Thomas Plassman. Fortuitously, there was an opening in the English department and Merton was hired on the spot. Merton chose St. Bonaventure because he still harbored a desire to be a friar; he decided that he could at least live among them even if he could not be one of them. St. Bonaventure University holds a repository of Merton materials. In September 1940, Merton moved into a dormitory on campus. (His old room in Devereux Hall has a sign above the door to this effect.) While Merton's stay at Bonaventure would prove brief, the time was pivotal for him. While teaching there, his spiritual life blossomed as he went deeper and deeper into his prayer life. He all but gave up drinking, quit smoking, stopped going to movies and became more selective in his reading. In his own way he was undergoing a kind of lay renunciation of worldly pleasures. In April 1941, Merton went to a retreat he had booked for Holy Week at the Abbey of Our Lady of Gethsemani near Bardstown, Kentucky. At once he felt a pull to the place, and he could feel his spirits rise during his stay. Returning to St. Bonaventure with Gethsemani on his mind, Merton returned to teaching. In May 1941 he had an occasion where he used his old Vulgate, purchased in Italy back in 1933, as a kind of oracle. The idea was that he would randomly select a page and blindly point his finger somewhere, seeing if it would render him some sort of sign. On his second try Merton laid his finger on a Bible verse which stated, "ecce eris tacens" (Luke 1:20 DR.LV.NVUL; Latin for "behold, thou shalt be silent"). Immediately Merton thought of the Cistercians. Although he was still unsure of his qualifications for a religious vocation, Merton felt he was being drawn more and more to a specific calling. In August 1941, Merton attended a talk at the school given by Catherine de Hueck. Hueck had founded the Friendship House in Toronto and its sister house in Harlem, which Merton visited. Appreciative of the mission of Hueck and Friendship House, which was racial harmony and charity, he decided to volunteer there for two weeks. Merton was amazed at how little he had learned of New York during his studies at Columbia. Harlem was such a different place, full of poverty and prostitution. Merton felt especially troubled by the situation of children being raised in the environment there. Friendship House had a profound impact on Merton, and he would speak of it often in his later writing. In November 1941, Hueck asked if Merton would consider becoming a full-time member of Friendship House, to which Merton responded cordially yet noncommittally. He still felt unfit to serve Christ, hinting at such in a letter to Hueck that month, in which he implied he was not good enough for her organization. In early December Merton let Hueck know that he would not be joining Friendship House, explaining his persistent attraction to the priesthood. 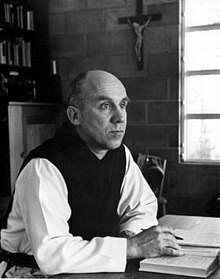 Fearing the Draft Board, on December 10, 1941, Thomas Merton arrived at the Abbey of Gethsemani and spent three days at the monastery guest house, waiting for acceptance into the Order. The novice master would come to interview Merton, gauging his sincerity and qualifications. In the interim, Merton was put to work polishing floors and scrubbing dishes. On December 13 he was accepted into the monastery as a postulant by Frederic Dunne, Gethsemani's abbot since 1935. Merton's first few days did not go smoothly. He had a severe cold from his stay in the guest house, where he sat in front of an open window to prove his sincerity. But Merton devoted himself entirely to adjusting to the austerity, enjoying the change of lifestyle. During his initial weeks at Gethsemani, Merton studied the complicated Cistercian sign language and daily work and worship routine. In March 1942, during the first Sunday of Lent, Merton was accepted as a novice at the monastery. In June, he received a letter from his brother John Paul stating he was soon to leave for war and would be coming to Gethsemani to visit before leaving. On July 17 John Paul arrived in Gethsemani and the two brothers did some catching up. John Paul expressed his desire to become Catholic, and by July 26 was baptized at a church in nearby New Haven, Kentucky, leaving the following day. This would be the last time the two saw each other. John Paul died on April 17, 1943, when his plane failed over the English Channel. A poem by Merton to John Paul appears in The Seven Storey Mountain. Merton kept journals throughout his stay at Gethsemani. Initially, he felt writing to be at odds with his vocation, worried it would foster a tendency to individuality. Fortunately his superior, Dunne, saw that Merton had both a gifted intellect and talent for writing. In 1943 Merton was tasked to translate religious texts and write biographies on the saints for the monastery. Merton approached his new writing assignment with the same fervor and zeal he displayed in the farmyard. On March 19, 1944, Merton made his temporary profession of vows and was given the white cowl, black scapular and leather belt. In November 1944 a manuscript Merton had given to friend Robert Lax the previous year was published by James Laughlin at New Directions: a book of poetry titled Thirty Poems. Merton had mixed feelings about the publishing of this work, but Dunne remained resolute over Merton continuing his writing. In 1946 New Directions published another poetry collection by Merton, A Man in the Divided Sea, which, combined with Thirty Poems, attracted some recognition for him. The same year Merton's manuscript for The Seven Storey Mountain was accepted by Harcourt Brace & Company for publication. The Seven Storey Mountain, Merton's autobiography, was written during two-hour intervals in the monastery scriptorium as a personal project. By 1947 Merton was more comfortable in his role as a writer. On March 19 he took his solemn vows, a commitment to live out his life at the monastery. He also began corresponding with a Carthusian at St. Hugh's Charterhouse in England. Merton had harbored an appreciation for the Carthusian Order since coming to Gethsemani in 1941, and would later come to consider leaving the Cistercians for that Order. On July 4 the Catholic journal Commonweal published an essay by Merton titled Poetry and the Contemplative Life. In 1948 The Seven Storey Mountain was published to critical acclaim, with fan mail to Merton reaching new heights. Merton also published several works for the monastery that year, which were: Guide to Cistercian Life, Cistercian Contemplatives, Figures for an Apocalypse, and The Spirit of Simplicity. That year Saint Mary's College (Indiana) also published a booklet by Merton, What Is Contemplation? Merton published as well that year a biography, Exile Ends in Glory: The Life of a Trappistine, Mother M. Berchmans, O.C.S.O. Merton's abbot, Dunne, died on August 3, 1948, while riding on a train to Georgia. Dunne's passing was painful for Merton, who had come to look on the abbot as a father figure and spiritual mentor. On August 15 the monastic community elected Dom James Fox, a former US Navy officer, as their new abbot. In October Merton discussed with him his ongoing attraction to the Carthusian and Camaldolese Orders and their eremitical way of life, to which Fox responded by assuring Merton that he belonged at Gethsemani. Fox permitted Merton to continue his writing, Merton now having gained substantial recognition outside the monastery. On December 21 Merton was ordained as a subdeacon. From 1948 on, Merton identified as an anarchist. On January 5, 1949, Merton took a train to Louisville and applied for American citizenship. Published that year were Seeds of Contemplation, The Tears of Blind Lions, The Waters of Siloe, and the British edition of The Seven Storey Mountain under the title Elected Silence. On March 19, Merton became a deacon in the Order, and on May 26 (Ascension Thursday) he was ordained a priest, saying his first Mass the following day. In June, the monastery celebrated its centenary, for which Merton authored the book Gethsemani Magnificat in commemoration. In November, Merton started teaching mystical theology to novices at Gethsemani, a duty he greatly enjoyed. By this time Merton was a huge success outside the monastery, The Seven Storey Mountain having sold over 150,000 copies. In subsequent years Merton would author many other books, amassing a wide readership. He would revise Seeds of Contemplation several times, viewing his early edition as error-prone and immature. A person's place in society, views on social activism, and various approaches toward contemplative prayer and living became constant themes in his writings. In this particularly prolific period of his life, Merton is believed to have been suffering from a great deal of loneliness and stress. One incident indicative of this is the drive he took in the monastery's jeep, during which Merton, acting in a possibly manic state, erratically slid around the road and almost caused a head-on collision. During long years at Gethsemani, Merton changed from the passionately inward-looking young monk of The Seven Storey Mountain to a more contemplative writer and poet. Merton became well known for his dialogues with other faiths and his non-violent stand during the race riots and Vietnam War of the 1960s. By the 1960s, he had arrived at a broadly human viewpoint, one deeply concerned about the world and issues like peace, racial tolerance, and social equality. He had developed a personal radicalism which had political implications but was not based on ideology, rooted above all in non-violence. He regarded his viewpoint as based on "simplicity" and expressed it as a Christian sensibility. His New Seeds of Contemplation was published in 1962. In a letter to Nicaraguan Catholic priest, liberation theologian and politician Ernesto Cardenal (who entered Gethsemani but left in 1959 to study theology in Mexico), Merton wrote: "The world is full of great criminals with enormous power, and they are in a death struggle with each other. It is a huge gang battle, using well-meaning lawyers and policemen and clergymen as their front, controlling papers, means of communication, and enrolling everybody in their armies." At the end of 1968, the new abbot, Flavian Burns, allowed him the freedom to undertake a tour of Asia, during which he met the Dalai Lama in India on three occasions, and also the Tibetan Buddhist Dzogchen master Chatral Rinpoche, followed by a solitary retreat near Darjeeling, India. In Darjeeling, he befriended Tsewang Yishey Pemba, a prominent member of the Tibetan community. Then, in what was to be his final letter, he noted, "In my contacts with these new friends, I also feel a consolation in my own faith in Christ and in his dwelling presence. I hope and believe he may be present in the hearts of all of us." Merton's role as a writer is explored in novelist Mary Gordon's On Merton (2019). 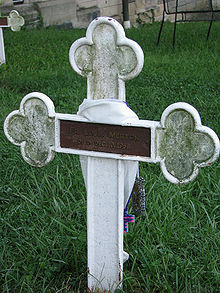 The grave of Thomas Merton, His grave marker reads "Fr. Louis Merton, Died Dec. 10, 1968." According to The Seven Storey Mountain, the youthful Merton loved jazz, but by the time he began his first teaching job he had forsaken all but peaceful music. Later in life, whenever he was permitted to leave Gethsemani for medical or monastic reasons, he would catch what live jazz he could, mainly in Louisville or New York. On December 10, 1968, Merton was at a Red Cross retreat center named Sawang Kaniwat in Samut Prakan, a province near Bangkok, Thailand, attending a monastic conference. After giving a talk at the morning session, he was found dead later in the afternoon in the room of his cottage, wearing only shorts, lying on his back with a short-circuited Hitachi floor fan lying across his body. His associate, Jean Leclercq, states: "In all probability the death of Thomas Merton was due in part to heart failure, in part to an electric shock." Since there was no autopsy, there was no suitable explanation for the wound in the back of Merton's head, "which had bled considerably." Arriving from the cottage next to Merton's, the Primate of the Benedictine Order and presiding officer of the conference, Rembert Weakland, anointed Merton. His body was flown back to the United States on board a US military aircraft returning from Vietnam. He is buried at the Gethsemani Abbey. In 2016, theologian Matthew Fox claimed that Merton had been assassinated by agents of the Central Intelligence Agency. James W. Douglass made a similar claim in 1997. In 2018, Hugh Turley and David Martin published The Martyrdom of Thomas Merton: An Investigation, questioning the claim of accidental electrocution. Merton was first exposed to and became interested in Eastern religions when he read Aldous Huxley's Ends and Means in 1937, the year before his conversion to Catholicism. Throughout his life, he studied Buddhism, Confucianism, Taoism, Hinduism, Sikhism, Jainism, and Sufism in addition to his academic and monastic studies. While Merton was not interested in what these traditions had to offer as doctrines and institutions, he was deeply interested in what each said of the depth of human experience. This is not to say that Merton believed that these religions did not have valuable rituals or practices for him and other Christians, but that, doctrinally, Merton was so committed to Christianity and he felt that practitioners of other faiths were so committed to their own doctrines that any discussion of doctrine would be useless for all involved. He believed that for the most part, Christianity had forsaken its mystical tradition in favor of Cartesian emphasis on "the reification of concepts, idolization of the reflexive consciousness, flight from being into verbalism, mathematics, and rationalization." Eastern traditions, for Merton, were mostly untainted by this type of thinking and thus had much to offer in terms of how to think of and understand oneself. Merton was perhaps most interested in—and, of all of the Eastern traditions, wrote the most about—Zen. Having studied the Desert Fathers and other Christian mystics as part of his monastic vocation, Merton had a deep understanding of what it was those men sought and experienced in their seeking. He found many parallels between the language of these Christian mystics and the language of Zen philosophy. O In 1959, Merton began a dialogue with D. T. Suzuki which was published in Merton's Zen and the Birds of Appetite as "Wisdom in Emptiness". This dialogue began with the completion of Merton's The Wisdom of the Desert. Merton sent a copy to Suzuki with the hope that he would comment on Merton's view that the Desert Fathers and the early Zen masters had similar experiences. Nearly ten years later, when Zen and the Birds of Appetite was published, Merton wrote in his postface that "any attempt to handle Zen in theological language is bound to miss the point", calling his final statements "an example of how not to approach Zen." Merton struggled to reconcile the Western and Christian impulse to catalog and put into words every experience with the ideas of Christian apophatic theology and the unspeakable nature of the Zen experience. In keeping with Merton's idea that non-Christian faiths had much to offer Christianity in experience and perspective and little or nothing in terms of doctrine, Merton distinguished between Zen Buddhism, an expression of history and culture, and Zen. What Merton meant by Zen Buddhism was the religion that began in China and spread to Japan as well as the rituals and institutions that accompanied it. By Zen, Merton meant something not bound by culture, religion or belief. In this capacity, Merton was influenced by the book Zen Catholicism. With this idea in mind, Merton's later writings about Zen may be understood to be coming more and more from within an evolving and broadening tradition of Zen which is not particularly Buddhist but informed by Merton's monastic training within the Christian tradition. Merton also explored American Indian spirituality. He wrote a series of articles on American Indian history and spirituality for The Catholic Worker, The Center Magazine, Theoria to Theory, and Unicorn Journal. He explored themes such as American Indian fasting and missionary work. Merton's influence has grown since his death and he is widely recognized as an important 20th-century Catholic mystic and thinker. Interest in his work contributed to a rise in spiritual exploration beginning in the 1960s and 1970s in the United States. Merton's letters and diaries reveal the intensity with which their author focused on social justice issues, including the civil rights movement and proliferation of nuclear arms. He had prohibited their publication for 25 years after his death. Publication raised new interest in Merton's life. The Abbey of Gethsemani benefits from the royalties of Merton's writing. In addition, his writings attracted much interest in Catholic practice and thought, and in the Cistercian vocation. In recognition of Merton's close association with Bellarmine University, the university established an official repository for Merton's archives at the Thomas Merton Center on the Bellarmine campus in Louisville, Kentucky. 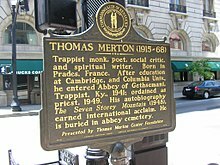 The Thomas Merton Award, a peace prize, has been awarded since 1972 by the Thomas Merton Center for Peace and Social Justice in Pittsburgh, Pennsylvania. The campus ministry building at St. Bonaventure University, the school where Merton taught English briefly between graduating from Columbia University with his M.A. in English and entering the Trappist Order, is named after him. St. Bonaventure University also holds an important repository of Merton materials worldwide. Bishop Marrocco/Thomas Merton Catholic Secondary School in downtown Toronto, Ontario, Canada, which was formerly named St. Joseph's Commercial and was founded by the Sisters of St. Joseph, is named in part after him. Some of Merton's manuscripts that include correspondence with his superiors are located in the library of the Monastery of the Holy Spirit in Conyers, Georgia. Merton was one of four Americans mentioned by Pope Francis in his speech to a joint meeting of the United States Congress on September 24, 2015. Francis said, "Merton was above all a man of prayer, a thinker who challenged the certitudes of his time and opened new horizons for souls and for the Church. He was also a man of dialogue, a promoter of peace between peoples and religions." Merton is honored with a feast day on the liturgical calendar of some church members of the Anglican Communion. Merton appears as a character in the film Quiz Show, played by actor Adam Kilgour. The film is based on the true story of Charles Van Doren who was the son of one of Merton's most beloved professors at Columbia, Mark Van Doren. Merton is seen visiting the van Doren family during the Thanksgiving holiday and chatting with them over dinner. The play Glory of the World celebrates the life of Thomas Merton. The play is written by Charles Mee. Roy Cockrum, a former monk who won the Powerball lottery in 2014, helped finance the production of the play in New York. Prior to New York the play was being shown in Louisville, Kentucky. In the movie First Reformed, written and directed by Paul Schrader, Ethan Hawke's character (a middle-aged Protestant reverend) is influenced by Merton's work. ^ This issue is discussed in detail in Shaw, Mark (2009). Beneath The Mask of Holiness. Palgrave Macmillan. ISBN 0-230-61653-4. In Learning to Love, Merton's diary entries discuss his various meetings with Smith, and in several cases he expressly denies sexual consummation, e.g. p. 52. However, on Saturday, June 11, 1966, Merton arranged to 'borrow' the Louisville office of his psychologist, Dr. James Wygal, to get together with Smith, see p. 81. The diary entry for that day notes that they had a bottle of champagne. A parenthetical with dots at that point in the narrative indicates that further details regarding this meeting were not published in Learning to Love. In the June 14 entry, Merton notes that he had found out the night before that a brother at the abbey had overheard one of his phone conversations with Smith and had reported it to Dom James, Abbot of Gethsemani. Merton wondered in his diary which phone conversation had been monitored, saying that a conversation he had on Sunday morning, i.e., the morning following the meeting with Smith at Wygal's office, would be "the worst!! ", see p. 82. The June 14 diary entry also describes Merton's discussions with Abbot James in this regard, and Merton's intent to follow the Abbot's instruction to end his romantic relationship with M. Roughly a month later, in his entry for July 12, 1966, Merton says regarding Smith, "Yet there is no question I love her deeply ... I keep remembering her body, her nakedness, the day at Wygal's, and it haunts me ... I could have been enslaved to the need for her body after all. It is a good thing I called it off [i.e., a proposed visit by Smith to Gethsemani to speak with Merton there following their break-up, which Merton called off]." See p. 94. Learning to Love reveals that Merton remained in contact with Marge after his July 12, 1966 entry (p.94) and after he recommitted himself to his vows (p. 110). He saw her again on July 16, 1966, and wrote: "She says she thinks of me all the time (as I do of her) and her only fear is that being apart and not having news of each other, we may gradually cease to believe that we are loved, that the other's love for us goes on and is real. As I kissed her she kept saying, 'I am happy, I am at peace now.' And so was I" (p. 97). Despite good intentions, he continued to contact her by phone when he left the monastery grounds. For example, he wrote on January 18, 1967 that "last week" he and two friends "drank some beer under the loblollies at the lake--should not have gone to Bardstown and Willett's in the evening. Conscience stricken for this the next day. Called M. from filling station outside Bardstown. Both glad" (p. 186). ^ Reichardt, Mary R. (2004). Encyclopedia of Catholic Literature, Volume 2. Greenwood Press. p. 450. ISBN 0-313-32803-X. ^ Thomas Merton Collection - Thomas Merton Center, Bellarmine University. ^ "Chronology of Merton's life", Thomas Merton Center, Bellarmine University; accessed April 17, 2018. ^ "FICTION: 1949 BESTSELLERS: Non Fiction". TIME. December 19, 1949. Retrieved May 25, 2010. ^ "Religion: The Mountain". TIME. April 11, 1949. ^ Seven Storey Mountain, pp. 3–5. ^ Seven Storey Mountain pg. 6. ^ Seven Storey Mountain, pp. 7–9. ^ Seven Storey Mountain pp. 15–18. ^ Seven Storey Mountain, pp. 20–22. ^ Seven Storey Mountain, pp. 30–31. ^ Seven Storey Mountain, pp. 31–41. ^ Cooper, David (2008). Thomas Merton's Art of Denial: The Evolution of a Radical Humanist. University of Georgia Press. pp. 81–82. ^ Seven Storey Mountain pp. 57–58. ^ Seven Storey Mountain pp. 63–64. ^ Cunningham, Lawrence (1999). Thomas Merton and the Monastic Vision. Wm. B. Eerdmans Publishing. p. 5. ^ Seven Storey Mountain p. 108. ^ Seven Storey Mountain p. 107. ^ Seven Storey Mountain p. 114. ^ Merton, Thomas. The Seven Storey Mountain (Fiftieth Anniversary ed.). p. 127. ^ Elie, Paul (2003). The Life You Save May Be Your Own: An American Pilgrimage. New York: Farrar, Straus and Giroux. pp. 41–42. ISBN 9780374529215. ^ Niebuhr, Gustav (November 1, 1999). "Mahanambrata Brahmachari Is Dead at 95". New York Times. Retrieved May 25, 2010. ^ Thomas Merton's paradise journey: writings on contemplation, By William Henry Shannon, Thomas Merton, Continuum International Publishing Group, 2000 p. 278. ^ "index1". May 11, 2013. ^ Pennington, M. Basil (2005). Thomas Merton: I have seen what I was looking for : selected spiritual writings. New City Press. p. 12. ISBN 1-56548-225-5. ^ Waldron, Robert G. (2014). The Wounded Heart of Thomas Merton. Paulist Press. p. 56. ISBN 978-0809146840. ^ Letter, November 17, 1962, quoted in Monica Furlong's Merton: a Biography p. 263. ^ Merton, Thomas (February 1975). The Asian Journal of Thomas Merton. New Directions. ISBN 0-8112-0570-3. ^ "Religion: Mystic's Last Journey". TIME. August 6, 1973. Retrieved May 25, 2010. ^ Gordon, Mary (2019). On Merton. Shambhala Publications. ISBN 978-1-6118-0337-2. ^ "Book on monk Thomas Merton's love affair stirs debate". USA Today. December 23, 2009. Retrieved December 16, 2012. ^ Moffitt, John (1970). A New Charter For Monasticism. Notre Dame Press. pp. 332–335. ^ Weakland, Rembert (2009). A Pilgrim in a Pilgrim Church. Wm. B. Eerdmans Publishing. p. 166. ^ "The Martyrdom of Thomas Merton: An Investigation". July 9, 2018. ^ "Did the CIA kill a turbulent, war-critical Catholic monk?". ^ Solitary Explorer: Thomas Merton's Transforming Journey p.100. ^ "Lighthouse Trails Research Project - Exposing the New Spirituality". ^ Conjectures of a Guilty Bystander p. 285. ^ a b Solitary Explorer: Thomas Merton's Transforming Journey p. 105. ^ Zen and the Birds of Appetite p. 139. ^ Solitary Explorer: Thomas Merton's Transforming Journey p. 106. ^ Solitary Explorer: Thomas Merton's Transforming Journey p. 112. ^ Merton, Thomas (1976). Ishi Means Man. Unicorn Press. ^ Merton, Thomas (1976). Ishi Means Man. Unicorn Press. p. 17. ^ Merton, Thomas (1976). Ishi Means Man. Unicorn Press. p. 37. ^ Robert Giroux (October 11, 1998). "Thomas Merton's Durable Mountain". The New York Times. ^ "Address of the Holy Father". The Vatican. September 24, 2015. Retrieved September 24, 2015. ^ Polynesia, Anglican Church in Aotearoa, New Zealand and. "Lectionary and Worship / Resources / Home - Anglican Church in Aotearoa, New Zealand and Polynesia". ^ Lunden, Jeff (January 16, 2016). "'Glory Of The World' Is More Wacky Birthday Party Than Traditional Play". NPR.org. ^ Jones, J.R. "Paul Schrader's First Reformed finds pride at the root of despair". Chicago Reader. Retrieved June 12, 2018. 2017 - Merton, Thomas and Paul M. Pearson. Beholding Paradise: The Photographs of Thomas Merton. Paulist Press. 2014 - Shaw, Jeffrey M. Illusions of Freedom: Thomas Merton and Jacques Ellul on Technology and the Human Condition. Eugene, OR: Wipf and Stock. ISBN 978-1625640581. 2008 – Graham, Terry, The Strange Subject - Thomas Merton's Views on Sufism at the Wayback Machine (archived June 20, 2010), 2008, SUFI: a journal of Sufism, Issue 30. 2007 – Deignan, Kathleen, A Book of Hours: At Prayer With Thomas Merton (2007), Sorin Books, ISBN 1-933495-05-7. 2006 – Weis, Monica, Paul M. Pearson, Kathleen P. Deignan, Beyond the Shadow and the Disguise: Three Essays on Thomas Merton (2006), The Thomas Merton Society of Great Britain and Ireland, ISBN 0-9551571-1-0. 2003 – Merton, Thomas, Kathleen Deignan Ed., John Giuliani, Thomas Berry, When The Trees Say Nothing (2003), Sorin Books, ISBN 1-893732-60-6. 2002 – Shannon, William H., Christine M. Bochen, Patrick F. O'Connell The Thomas Merton Encyclopedia (2002), Orbis Books, ISBN 1-57075-426-8. 1992 – Shannon, William H., Silent Lamp: The Thomas Merton Story (1992), The Crossroad Publishing Company, ISBN 0-8245-1281-2, biography. 1991 – Forest, Jim, Living With Wisdom: A Life of Thomas Merton (revised edition) (2008), Orbis Books, ISBN 978-1-57075-754-9, illustrated biography. 1984 – Mott, Michael, The Seven Mountains of Thomas Merton (1984), Harvest Books 1993: ISBN 0-15-680681-9, authorized biography.